"Various countries create and maintain, through mass media, an image of the enemy. And that is one step away from a declaration of global war." 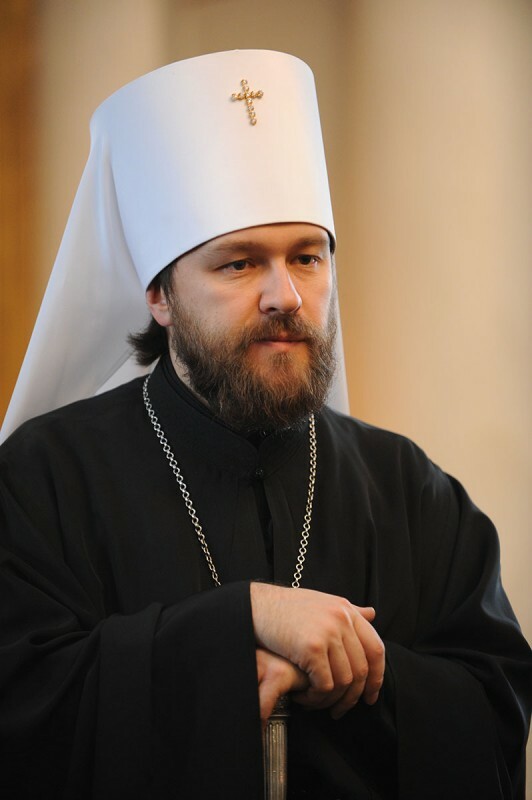 Moscow, July 31, Interfax - Metropolitan Hilarion of Volokolamsk, head of the Moscow Patriarchate Department for External Church Relations has expressed concern over the current international situation, claiming that the world has found itself one step away from a global war. “The current situation is increasingly reminiscent of that in the run-up to the First World War. News programs have turned into frontline news summaries, each day we hear about more and more victims. Yes, so far the conflicts have been on a local scale but whole countries and whole military-political blocs are getting sucked into the militaristic rhetoric,” the metropolitan wrote in an article published in the weekly supplement to the Rossiyskaya Gazeta (Russian Newspaper – Week) newspaper on Thursday. Polarization has reached a critical point, the author said. “Various countries create and maintain, through mass media, an image of the enemy. And that is one step away from a declaration of global war,” the article said. The hierarch thinks the main lesson of both world wars consists in that they had no winners. “The one hundred years since the beginning of the First World War is unlikely to prompt an ardent international response. Some places will build monuments to the heroes, others will clean up the memorial cemeteries, and festivities will be held elsewhere. But will the war anniversary become a reason for rethinking its outcomes on the global scale? Will the outcomes of the two world wars be a lesson to global leaders on whom it depends whether the third one will begin,” the hierarch asked. “The same as 100 years ago when a shooting by a Serbian terrorist of the Austro-Hungarian heir to the throne led to war. It looked as if the leading global powers had been waiting for this shot to start the global slaughter,” the article said.